Online / Digital Online promo advert for 'Local Dates' website (client: 'Yeast London'). Janice (Nervous patient) with comic Neil Mullarkey as Psychiatrist. I am professional actress, voiceover arist & corporate presenter, born and raised in London of Italian parents with a mid 30's playing age. I have featured in various corporate videos and commercials, appeared in scene reconstructions for 'The TV Book Club' on More4 and featured as the Italian Corporate Presenter for the product launch of the new Hewlett-Packard 8600 All-in-One printer. Recent voiceovers have been for Renault, Nivea, FIFA, a Pirandellian artist-led project entitled: TREATMENT FOR SIX CHARACTERS, a new English learning audio book for children in Reggio Emilia for Augeo and a TV narration for NHK World, the International arm of Japan’s broadcasting service. Our next play 'A Boy Called Porro', is a bilingual children's play which will tour Emilia Romagna, Italy with Augeo Cooperativa http://augeocoop.it/ from late March 2019. A London show will follow in the autumn / winter of 2019. 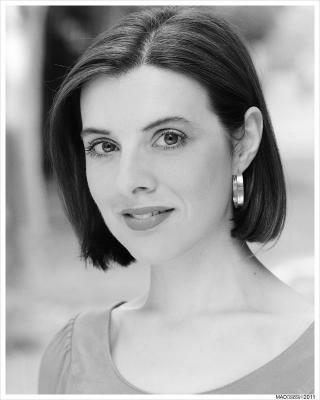 As well as being a professional actress, I am also an experienced English and Italian Corporate Presenter and Compere, expert Sightreader, Poetry reader, Voiceover artist with VSI International and Producer and Artistic Director of 'Tricolore', specialising in International Theatre projects, with an emphasis on Italian projects. I have presented a corporate training video for AppLearn in Manchester and was the Italian presenter for the product launch of the new HP All in One printer in 2012. I have compered for Italian events in London, for high profile associations such as The Italian Consulate, The Italian Cultural Institute and Accademia Apulia; (now known as YouManity), at annual arts awards with attendees including Nancy Dell'Olio, the Mayor of Westminster, Italian Consulate & Italian Ambassador. I have corporate video (green screen) and autocue experience presenting in both English & Italian. CCP Presenter's showreel available. Bilingual English & Italian. Conversational French. Basic Spanish. Recording credits with VHP Records. Basic Piano & Recorder. Compere/Presenting experience (in English & Italian). Sound long term Exec PA & organisational experience of working within the Corporate world, mainly in the fields of banking & finance, property, legal, metals & mining & oil & gas. Bilingual (English/Italian) kids entertainer and balloon modeller. ACCENTS	RP, London, Cockney, Italian, French, Australian, Standard American, Southern States.